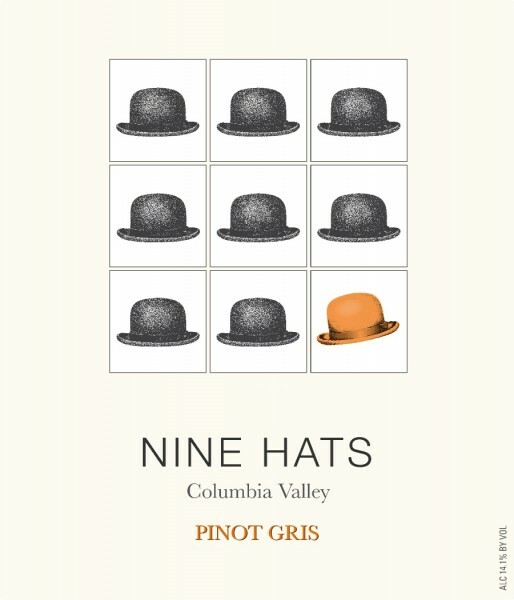 The inspiration for Nine Hats came from the Long Shadows wine project and the internationally acclaimed winemakers who contributed their talents and skills to develop these unique wines. Sourced exclusively from The Benches Vineyard at Wallula at an elevation of 1,400 feet above the Columbia River, where a constant breeze moderates temperatures to capture fresh flavors and give the wine its vibrant mouth feel. All of the grapes were handpicked and whole cluster pressed, then cool fermentation in stainless steel tanks to maintain the Pinot Gris’ racy acidity.